키토의 편리한 위치에 있는 Nu House Boutique Hotel에서 여행을 시작해 보세요. 이 곳에서 생동감 넘치는 도시의 많은 것을 최대로 즐길 수 있습니다. 본 숙소는 사파리 투어, 걸리버 투어, Galeria Ecuador 등과 같은 많은 관광지 및 명소와 가까운 거리에 있습니다. 본 숙소(Nu House Boutique Hotel)에는 다양한 시설이 있어 키토에서의 여행 시간을 풍요롭게 해줍니다. 본 숙소는 매우 까다로운 투숙객도 만족시키는 다수의 숙소 내 시설을 제공합니다. 본 숙소에서 머무는 동안 고급 객실 시설을 경험할 수 있으며, 일부 객실에 구비된 월풀욕조, 에어컨, 책상, 미니 바, 발코니/테라스 등은 투숙객의 긴 하루 후 재충전에 도움을 줍니다. 본 숙소에서 마사지 등과 같은 멋진 여가 시설/활동을 즐길 수 있어 잊을 수 없는 추억을 만들 수 있습니다. 편안하고 편리한 키토의 숙소를 찾고 계신다면, 본 숙소(Nu House Boutique Hotel)가 내 집처럼 편안한 공간이 될 것입니다. 투숙객은 숙박 시설 내 바와 레스토랑 이용 시 10% 할인을 받으실 수 있습니다. Is Party central if you go to relax you won’t get that .. but is great to have a great weekend of fun safe party. Hotel was nice, quaint, and great staff. My only negative does not have anything to do with the hotel. It is located right next to many bars, restaurants, and "discotecas", so the noise levels can be quite high late into the nights. The closer to the plaza that your room is, the louder it can be, keeping you awake quite late into the night on Thursdays, Fridays, and Saturdays. At the same time, they are quite close to great bars and restaurants, making it a very short walk to them. Clean and Center of the action in the party scene of Quito. Nice buffet breakfast was included. The place is in the middle of Fuch Square. The red tour bus also stops across the street. Staff was friendly and gave good tips. Don’t book and tours at the hotel itself, as many cheaper tour agencies nearby. what can I say, i just keep coming back! Very convenient location. Lots of shops around the hotel. Comfortable bed, Clean room, Nice staff. The bed was comfortable and the room was very clean. And buffet breakfast also good. They have omlet, cereal, fruits, yogurt etc. The staff are very kind. It was very nice hotel. 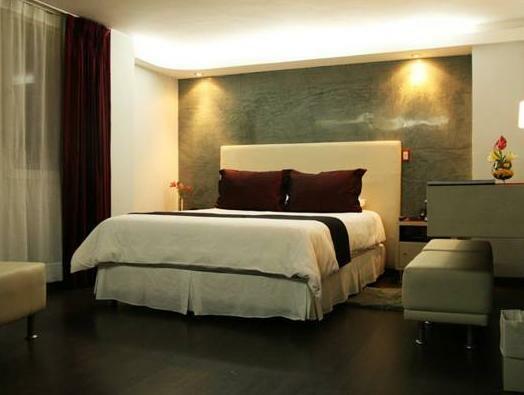 Nu House Boutique Hotel is the perfect hotel to stay at if...you love to party. I mean this thing is literally located right in the center of it all. I highly recommend earplugs. My room had no air conditioning so I had to leave the windows open, but doing this requires earplugs because you will get no sleep. The hotel had good lighting in the room, however in the bathroom it was not bright enough making it difficult to shave or for a female to apply makeup. The shower did not drain properly leaving me standing in a puddle. Wifi worked great in the room. Oh yeah, when traffic is at its highest, it is very difficult or should I say takes longer for the taxi to get to this hotel because Foch's is where it is happening at night. Would I stay here again? Depends on what I will go to Quito for next. Hope this helped. Enjoy. We stayed 6 days in the Nu house hotel. 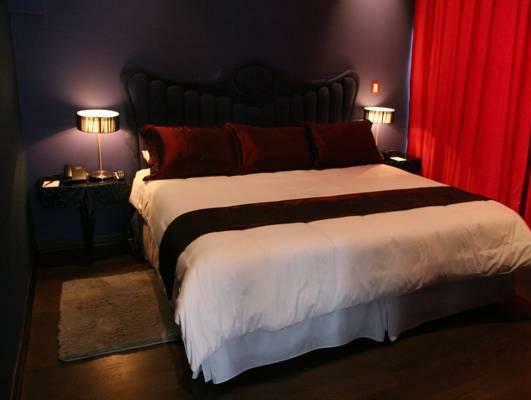 We loved the small boutique hotel, with large nice rooms and excellent service! 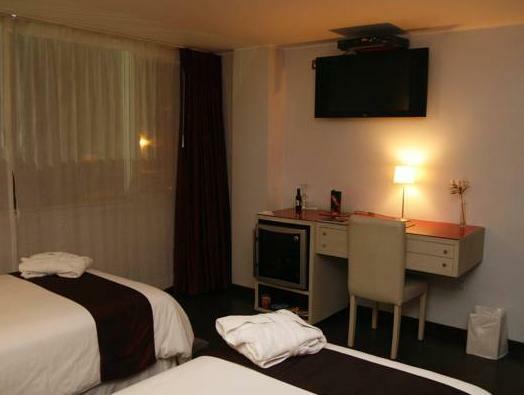 The hotel is located in the very center of the night life district, with plenty of life, restaurants , bars, and discos. The hotel is excellent except from the excessive noise at nights and as in our case during a festival with the loudspeakers just in front of the hotel. During two days we waited after midnight to sleep! Convenient location, modern, comfortable, big-screen cable TV, comfortable beds, free internet connection (not wireless though). Clean. Spacious rooms. Friendly staff. Light rooms. Location. Noise from the bars and clubs on plaza foch Hard beds. We had a pleasant stay at the Nu House hotel. 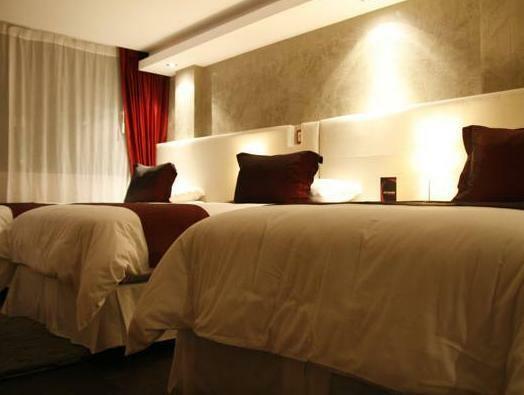 An excellent hotel for the money and the best choice in Quito (comparing to the big hotels like the Hilton). Very nicely located next to plaza Foch. Very nice design hotel on the edge of the Foch Plaza. The rooms are light, spacious and clean and the personnel is very friendly and speaks good English. The hotel has their own taxi service to bring you to any place in Quito for a small amount of money. Breakfast is small but good. We had a very noisy room from the club/bar below and the beds were very hard. Very nice design hotel on the edge of the Foch Plaza. The rooms are light, spacious and clean and the personnel is very friendly and speaks good English. The hotel has their own taxi service to bring you to any place in Quito for a small amount of money. Breakfast is small but good. We had a very noisy room from the club/bar below and the beds were very hard. An excellent stay at this hotel for a very reasonable price comparing to the other hotels in Quito. We definitely recommend this hotel. Excellent location in the hear of the Mariscal district. If you like to go out at night, then this is the place to be! All the rooms are very nicely done up. The maid service is very professional and the front desk staff are attentive. There is a nice desk for working if you bring your laptop, and even though the wifi was down when i visited, the hotel provided a long ethernet cord that allowed me to connect. If you are looking for a quiet place to get away, then this is not the place. There is music blasting from 10 pm until 7 am every night, although I stayed in a room away from the plaza and had no trouble falling asleep. 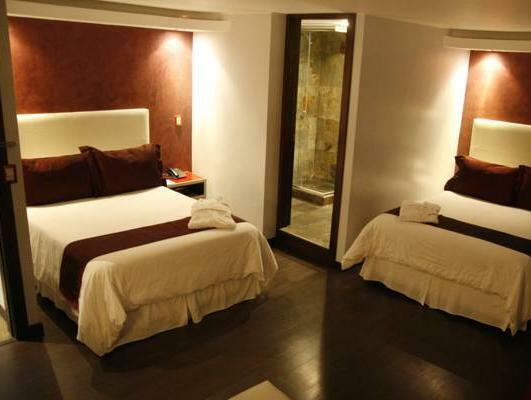 Overall, I would recommend the Nu House Boutique Hotel to younger people traveling to Quito. The nightlife in the Mariscal area is great and the location can't be beat. The rooms are all very chic and they have definitely thought out a lot of the little comforts (free tea in the lobby, bedsheet turn down service with a chocolate, a comfortable bath robe, etc.). If you are a business traveler, you may want to think about staying in a quieter place, but at the same time Quito's downtown is fairly small and a $3 taxi will get you pretty much anywhere in the city! A good independent hotel and a great value! LOCATION,NEW AMMENITIES,STAFF AND RESTAURANT ON PREMISES. 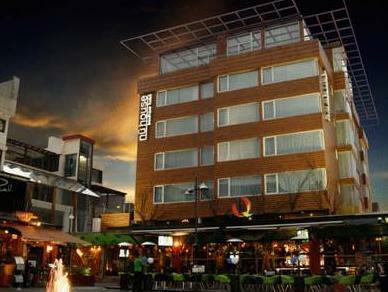 The nu house hotel is located on a town square and can be noisy late at night. The Nu House Hotel in Quito is a great new hotel in the center of Quito.A boutique hotel with all the over the top ammenities like bathrobes,chocolates on your pillow at night.Had a great stay here also because of the proximity to all the nightlife and restaurants.The hotel can get a little noisy late at night with all the local bars letting out at 2-3 in the morning.The receptonist at check in was kind enough to inform me of this and I had a great room on the 4th floor with excellent views.I will be back on my next trip to Quito.